Photo 044. 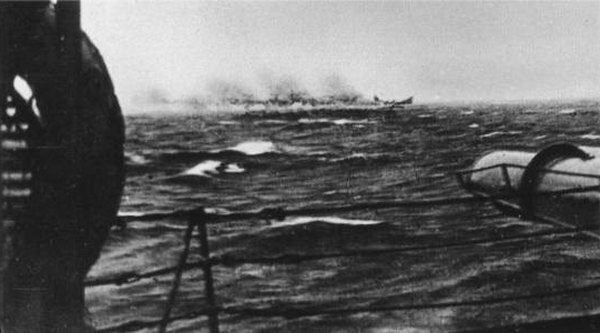 The Sinking of the Bismarck. The Sinking of the Bismarck. This photo, taken from the cruiser Dorsetshire between 1036-1038 hours on 27 May 1941, shows the Bismarck about to capsize sinking by the stern.